Have you ever heard of computer/gamer glasses? Not reading glasses like your grandmother wears. 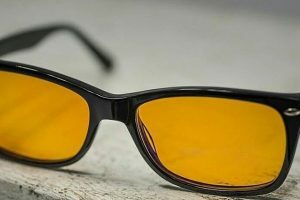 I’m talking about those strange (often cool) looking yellow tinted glasses that are supposed to save your eyes from your computer or tv monitor. What exactly are they and do they work? Lots of people are now beginning to wear these strange looking computer/gamer glasses, but do they work? And exactly what are they supposed to do anyway? My vision is fine, it’s actually 20/20. And I can see perfectly fine when I’m not using the computer, but the glare of the monitor and all those hours with too few blinks and breaks eventually takes its toll. 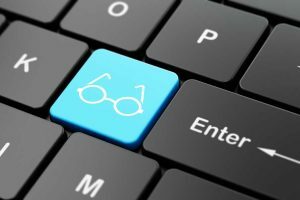 If you’re still trying to decide if computer reading glasses are the real deal and could help relieve the blurriness, discomfort, and dryness caused by spending hours in front of a computer monitor, you’ve come to the right place. I hope to convince you that computer glasses do work and that if you spend hours every day in front of the computer, you should by some. Usually, computer glasses have a yellow tint. This yellow tint blocks the blue light from coming through. Sometimes, you can find glasses that have an amber tint, or other color. This tint can range from very slight to almost as dramatic as sunglasses. A nice example of tinted computer reading glasses are the Gunnar Optiks – see below! Manufacturers usually say the tint reduces blue light by adjusting the color spectrum to make the screen easier to view for long periods. There’s plenty of anecdotal evidence to back this up. 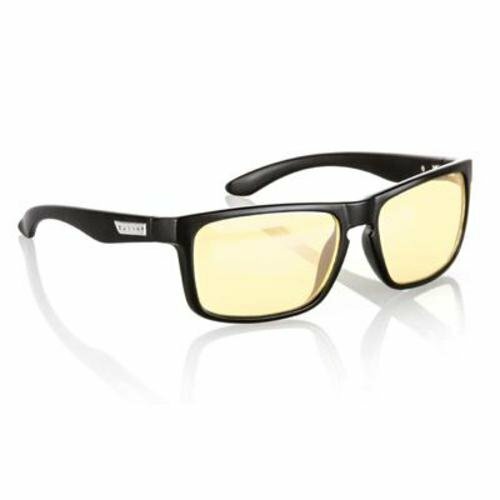 One of the reasons professionals love Gunnar Gamer / Computer Glasses, is because their glasses come in that Amber tint, which doesn’t distort the way you view color. Therefore, if you’re a graphic designer, photographer, video editor, or work with colors and hues, you can work without having colors distorted. In reality, there have been just a handful of scientific studies that have put computer glasses to the test, and guess what, computer glasses have failed! 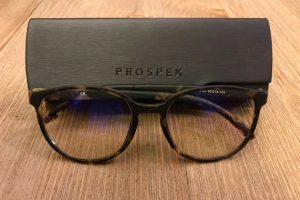 Still, in my experience and in what I see with my colleagues, our computer glasses work well in reducing eye strain, and preserving our vision after spending long hours in front of the computer. Most computer glasses aren’t actually magnified at all. In fact, only a couple brands claim magnification. If you don’t have poor vision, then in reality, tint that blocks blue light alone should be enough to alleviate symptoms. It could be a Pro or it could be a Con, but all Gunnar glasses come with a slight magnification. Some people find it annoying or distorting to their vision. However, I rarely notice it. Actually, once I have my computer glasses on, they work so well that I don’t even notice them on anymore. The yellow tint and the magnification just becomes normal and keeping them on becomes second nature. Glasses for gamer or computer use vary greatly in styling. There will be a style for you. Some choices look and work like regular prescription glasses or reading glasses. 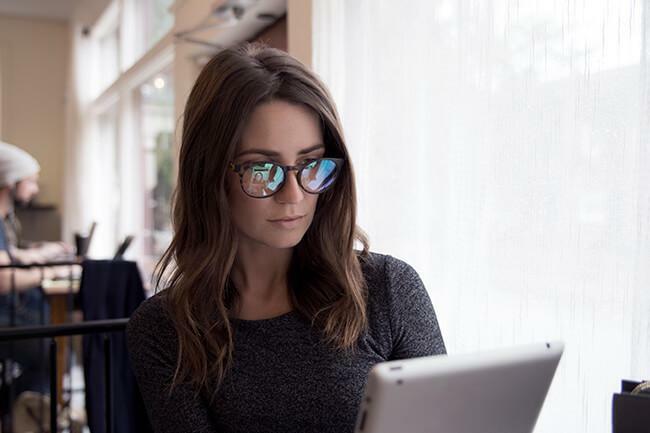 Others are designed to look cool, fancy or geeky — and some actually look more like sunglasses than something designed to be worn at a desk. 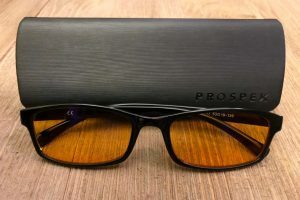 Do you already wear prescription glasses? There are special clip-on tinted glasses for computers that you can flip up when you need to work on something else. No matter your personal style, there are computer glasses that will fit it. From the most conservative to the wildest, there out there. So, do Computer Glasses work? At first the idea of special computer or gaming glasses may seem like a strange concept to you. Do they really work? Can blue light from a computer really be harmful to my eyes? The answer is yes and yes. but don’t wait until you get computer glasses to help out your eyes! You can implement the 20-20-20 rule right now. The 20-20-20 rule helps alleviate computer/digital eye strain. It’s simple, look at someone 20 feet away, for 20 seconds, every 20 minutes. It’s easy to become engrossed in your work and stare at a screen for an hour, but following this simple rule can help alleviate eye strain right away, until you receive your computer glasses. I was skeptical also, but I knew that by the time evening came, my eyes were experiencing more and more discomfort. I decided to take a chance and order a pair of computer glasses, and I’m glad I did. I’ve experienced freedom from headaches, eye discomfort, and blurry vision. I’d like you to try them also. 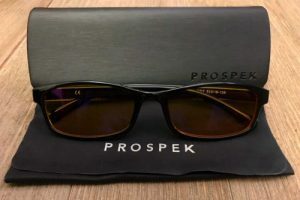 In addition to feeling freedom from eye pain and eye strain, I was convinced enough to start this site dedicated to computer glasses and I even started another site dedicated to reviewing gaming and computer glasses, along with a desire to, in the future, begin producing my own line of computer glasses.